The Mdina Metropolitan Cathedral Museum is housed within a magnificent baroque building, on the right-hand side of the Cathedral, in Archbishop’s Square. This imposing edifice was built by Bishop Alpheran de Bussan, with the first stone being laid in 1733. This building was to serve as the seminary for the Diocese of Malta. In the 16th century, the council of Trent instituted seminaries to provide for the training of candidates to priesthood. Twelve years after the last session of the council, Mgr. Dusina, Apostolic Visitor to Malta, decreed the erection of a seminary. Various attempts were made by the bishops of Malta to have such a purpose-built building, but it was only in 1703 that Bishop Cocco Palmieri welcomed the first seminarians to a building in Mdina. The Mdina Metropolitan Cathedral Museum is housed within a magnificent baroque building on the right-hand side of the cathedral, in Archbishop’s Square. This imposing edifice was built by Bishop Alpheran de Bussan, with the first stone being laid in 1733. This building was to serve as the seminary for the diocese of Malta. In 1723 Bishop Mancini (1722-1727) , transferred the Seminary to Valletta. Bishop Fra Paolo Alpheran de Bussan and Grandmaster Manoel De Vilhena funded the building of the current edifice. The building’s design is attributed to the architects Giovanni Barbara or Andrea Belli, although Barbara was already dead when construction began, leaving Belli as the more likely candidate. The Mdina Seminary was inaugurated on the 20th May, 1742. At that time there were 1,679 priests in the diocese of Malta. The number of Maltese priests declined in the second half of the eighteenth century, a decline caused by the pressure that was brought about by the higher standards of education and intellectual formation that was asked of the candidates to the priesthood by the Holy See and by the Maltese Ecclesiastical authorities. Maltese baroque palaces were designed in a recurrent fashion having a central courtyard which allowed the halls and rooms to enjoy fresh air and sunlight throughout the whole year. Purposely-built as a seminary, this majestic edifice included; classrooms, dormitories, an assembly hall, a chapel, stores, a large kitchen as well as a refectory for the students. The Seminary remained in Mdina till 1858, when Bishop Pace Forno as part of a radical reform in the Seminary, moved it to the more central location of Floriana. After the seminary was moved out from Mdina, the building was used for various purposes. During the Crimean War, the British military used the building as their headquarters. During this occupation, the British added most of the upper floor (now in use by the Museum administration) by building two separate wings. The British also added fireplaces to the building, a quintessential addition during the British Victorian period. 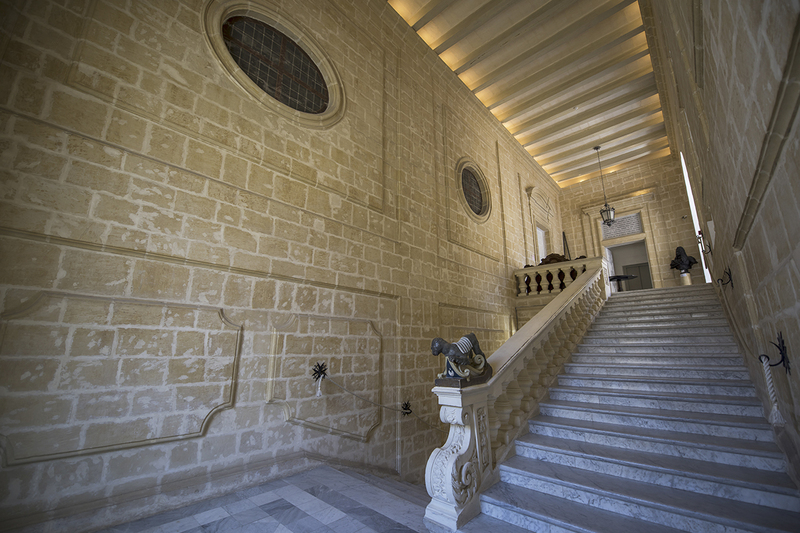 During the Second World War, the building was used as a boarding school by St. Edward’s College (previously situated in Cottonera), serving all the functions it did when it was a seminary. Later, the building was also used as a retreat house, storage space, as well as an exhibition space. The Cathedral Museum itself was established in 1897. It was Mons. Edward Coleiro who initially proposed the shift of objects from the Cathedral to the Cathedral Museum, with the building itself being signed off to the Cathedral Chapter by Archbishop Gonzi. In 1969, the museum was first opened to the public. The French nobleman Paul Alphéran de Bussan (1728 – 1757) first came to Malta at the age of 19 when the ship he was travelling on was caught in heavy storms and had to seek shelter in St. Paul’s Bay. Both his uncle Melchior Alpheran de Bussan and brother Jean-Melchior Alphéran were members of the Sovereign Military Order of Malta. 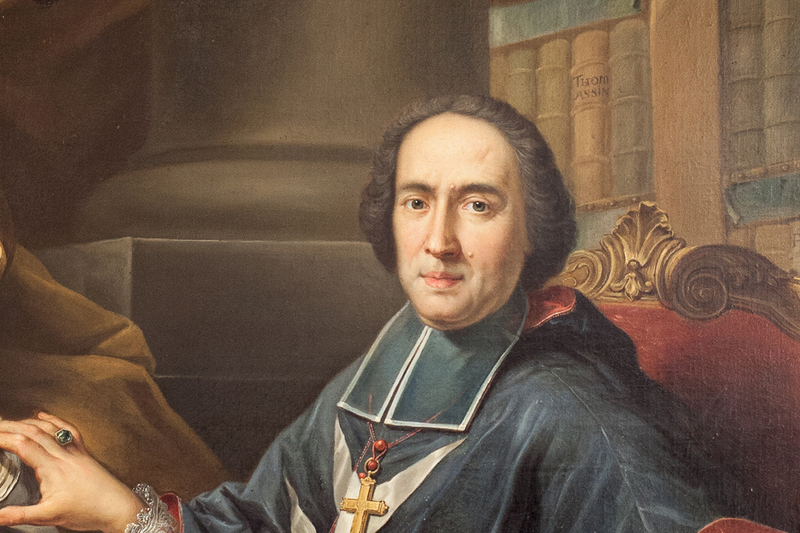 Paul Alphéran de Bussan was appointed as Bishop of Malta on March 8, 1728. He is remembered mostly for building the Mdina Seminary, now the Cathedral Museum, in 1733 as well as for the financing the printing of a Maltese translation of Cardinal Bellarmino’s Catholic Catechism which was distributed to every parish in Malta.